Now's your chance to do the little but important chores that you've been meaning to get done for weeks. You know all of those little home maintenance tasks we tend to forget about or put off doing? Yes, including flipping mattresses and checking the smoke detectors. Daylight Saving Time is our twice-yearly reminder to tackle that to-do list. As we prepare for the clocks to fall back at 2 a.m. on Sunday, November 4, we're also drafting up our list of chores to tackle with the extra time we'll gain. 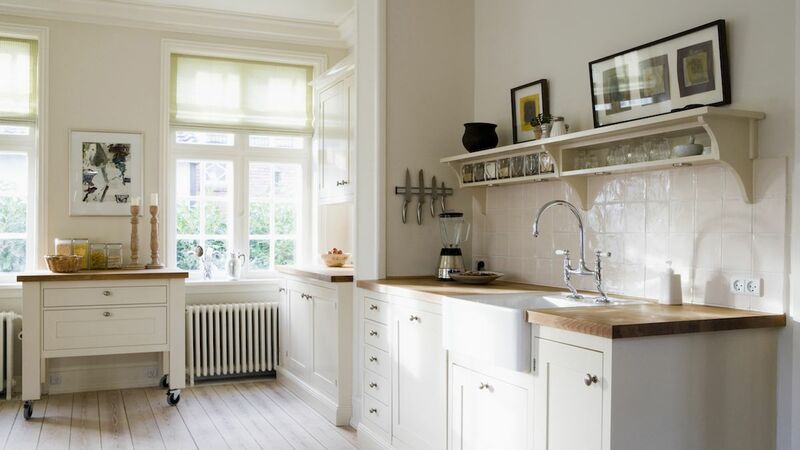 While these little chores aren't exactly fun, most of them only take about 15 minutes, and they promise to make your home safer and help your belongings last longer. Plus, just think, once you finish the to-do's below, you won't have to worry about them for another six months. 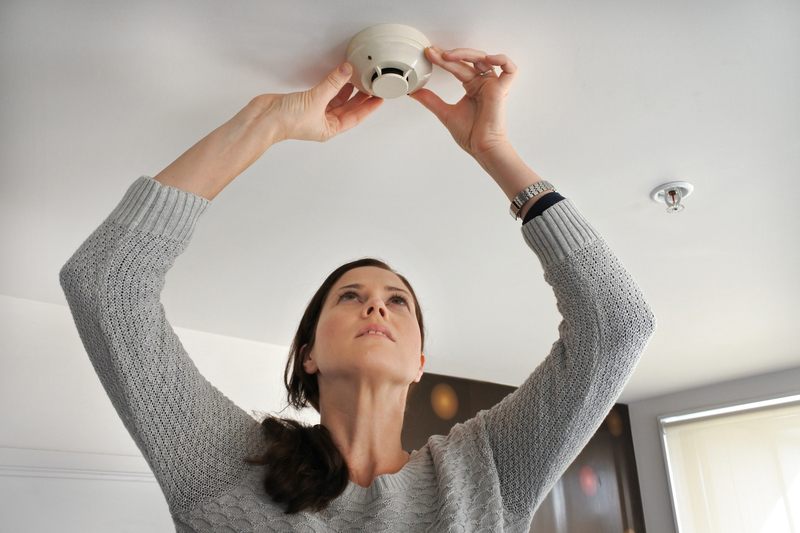 Take 10 minutes and test the fire and carbon monoxide detectors around your home, replacing the batteries as needed. To make the task easier, prep by getting the step stools or ladders you'll need, and consider grabbing a set of headphones in case you accidentally trigger the alarm in the process. You've probably heard before that Daylight Savings is the time to flip or rotate your mattress. While some consider this advice out-dated, depending upon the time of mattress you own, it's still a good way to extend its life. If you have a newer mattress made with memory foam, it may not need a full flip, but can get a 180-degree rotate. If you have an older classic spring mattress, consider sticking with the full flip-and-rotate so that all side of the mattress wear evenly. While you're at it, go ahead and clean your mattress. If you have a Keurig, follow our Keurig cleaning guide. And for a traditional drip coffee maker, watch this step-by-step video. As your home switches from blasting the AC to cranking up the thermostat, now's a great time to check on both your air conditioner and your furnace. After cleaning the furnace filter, follow our tips for dusting the heating vents and radiators. Typically, it's best to check your air conditioner in the spring before the hot weather starts, but if you haven't inspected yours in a while, follow our air conditioner maintenance tips so the unit will be ready to go in the spring. According to the U.S. Fire Administration, about 2,900 clothes dryer fires are reported each year, with more of these fires occurring in the fall and winter months, and peaking in January. To prevent a fire, clean out your dryer vent ductwork this weekend, then be sure to clean out the lint filter every time you use the dryer. Take a peek at the cold meds in your medicine cabinet and toss out (safely, of course) any that are expired. Then, stock up on the basics, as well as tissues and vapor rub. Extra credit: Wash your pillows to keep germs at bay. Once the leaves have fallen off the trees but before it gets too cold outside is the ideal time to clean out the gutters. In the months ahead, icicles serve as the tell-tale sign that the gutters haven't been cleaned, and while icicles may look cute, those clogged gutters could cause water to pool, potentially damaging the foundation of your home. If you don't want to do the dirty work yourself, here's everything you need to know before you hire a pro.